OJ&B In The Press: The Ultra V Network Does Pre MBFW Q&A With OJ&B! I am so excited to be teaming up with The Ultra V Network again for Mercedes-Benz Fashion Week! Sal﻿ Cannata, UVN's founder and director of operations, does an amazing job video editing and really knows how to put together fun and informative video packages that are also a quick watch. Be sure to keep an eye out this season for videos from MBFW Fall 2012! For now check out this Q&A I did with UVN about what I hope to see this season! 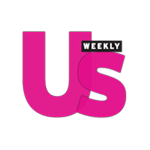 UVN: BEFORE WE GET INTO FASHION WEEK WE HAVE TO CONGRATULATE YOU ON BEING FEATURED IN US WEEKLY AND ABC NEWS! WHAT HAS THIS EXPERIENCE OF BEING FEATURED IN OTHER MEDIA OUTLETS BEEN LIKE FOR YOU & YOUR BLOG OJ&B? JV: Being featured as an Us Weekly Fashion Police Top Cop has been an amazing experience! It is something that I have always wanted to do! When I was in college in Texas I worked at a grocery store as a cashier and I remember that I would always look at the celebrity magazines and think about how cool it would be to be in one. Now I am and it is so much fun and the exposure is insane! Being on ABC 7 in NYC was an incredible experience. I was on talking about Golden Globes fashion and I am thrilled with how it turned out. The package they put together was amazing and I am hoping to do a lot more! UVN: THIS IS YOUR FOURTH SEASON COVERING FASHION WEEK AS AN OFFICIAL MEDIA MEMBER. EACH YEAR IT SEEMS LIKE YOU HAVE BIGGER THINGS PLANNED. DOES THE PLANNING GET MORE DIFFICULT EACH TIME AROUND? JV: The planning actually gets easier believe it or not! As you have more seasons under your belt you know what to expect and how things work. Your game plan gets stronger and you know that it is ok if you can't make it to everything. There is so much going on that it is impossible to do it all. UVN: WHAT ADVICE DO YOU HAVE FOR A FIRST TIME MEDIA MEMBER? JV: Make sure that you do the things that make sense for your audience. That will help you in deciding what to cover. Also, do not get your feelings hurt if you get denied access to cover shows. Part of the fun each season is seeing who invites you. I am so excited to have been invited to designer's shows who did not give me access in the past. You have to prove yourself in the industry. UVN: WITH ALREADY SEVERAL INTERVIEWS BOOKED, WHAT KIND OF COVERAGE SHOULD OJ&B FANS EXPECT? JV: This season I am really pushing video content. I am really excited to be teaming up with The Ultra V Network again. The videos from last season were something that we were experimenting with and they turned out great. I cannot wait to do more this season! The best way to get up to the minute information direct from the tents is to follow me on Twitter, @JonathanValdez. UVN: LAST YEAR YOU HELD MEET UPS AT THE 'IT GETS BETTER LOUNGE' AMONG OTHERS. WHERE CAN FASHION WEEK ATTENDEES EXPECT TO MEET YOU THIS SEASON? JV: I am actually working on doing two more tweet ups that will include a fun giveaway! I am still locking down last minute deets so keep your eye on OJ&B to see how you can get in on the fashion week action! UVN: WE KNOW YOU'VE BEEN TO TONS OF FASHION SHOW THROUGH OUT THE YEARS. WHAT FACTORS MAKE FOR A GREAT RUNWAY SHOW? music that matches the garments and the energy of the show. I love when I am in the tents and I can feel the music thumping below my seat. I am usually the one in the audience who is moving my head along to the music. Timing is also key for a good show. I love a dramatic opening and closing garment in a fashion show. UVN: LAST SEASON YOU LOVED DESIGNERS LIKE MARLON GOBEL AND CARLOS MIELE. WHAT ARE SOME OF THE MOST ANTICIPATED SHOWS THIS SEASON? JV: Every season I am so honored to be invited to a designer's show. The fact that their team wants me there to see the debut of their hard work really means a lot to me. This season I am so excited to see Charlotte Ronson, Whitney Eve, Badgley Mischka, Joseph Abboud, Rolando Santana, Nanette Lepore, Carlos Campos and Falguni and Shane Peacock. UVN: BEING A FASHION INSIDER YOUR ALWAYS AHEAD OF THE CURVE WHEN IT COMES TO WHATS NEW AND TRENDY. WHAT KIND OF TRENDS DO YOU THINK WE'LL SEE THIS UPCOMING SEASON? JV: I think that we are going to see pops of color for fall. There is also going to be lots of texture and longer hemlines like we saw in Spring/Summer 2012. UVN: AS YOU KNOW OJ&B AND THE ULTRA V NETWORK ARE TEAMING UP FOR ON-THE-SCENE FASHION WEEK COVERAGE. IF YOU COULD PICK A CELEBRITY TO CO-HOST THIS COVERAGE WITH YOU WHO WOULD IT BE? JV: Joan Rivers! We would crack up the entire time and I would love it!! UVN: ITS NEVER EASY TO LAND A CELEBRITY INTERVIEW BUT YOU HAVE DONE YOUR SHARE AND THAT GOES FOR THIS UPCOMING SEASON AS WELL. FOR ANYONE WHO DARES TO STEP UP TO THE MIC, WHICH CELEBS ARE YOU CALLING OUT FOR AN INTERVIEW WITH JONATHAN VALDEZ AT MERCEDES-BENZ FASHION WEEK? JV: Where do I start? I would love to snag an interview with SJP, The Olsen Twins, Anna Wintour, Grace Coddington, Pat Field and the list goes on and on! UVN: BEFORE WE GO, WE KNOW THAT ORANGE HAS BEEN SELECTED AS THE COLOR OF THE YEAR..BEING THE CREATOR OF ORANGE JUICE & BISCUITS HOW ARE YOU GOING TO CELEBRATE??? JV: By wearing an orange bow tie! Seriously I am looking for one!! I am so excited that orange is the color of the year because it is one of my favorite colors long before I had OJ&B!! I live for color! Thanks again to Sal and the Ultra V Network for the fun Q&A! Be sure to check out the interview on the Ultra V Network by clicking here. There you can see tons of photos from MBFW S/S 2012 as well as all of our videos from last season!